Nice Rear End - The GPz900R Rear Wheel Conversion: 1. 17" Rear Wheel Conversion for GPz900R - 1990 A7 Model - The Beginning. 1. 17" Rear Wheel Conversion for GPz900R - 1990 A7 Model - The Beginning. I am the proud owner of a GPz900R. I chose this bike because I wanted a project. I chose this bike because I wanted something familiar. I chose this bike because I wanted history. I chose this bike because I wanted a Kwakka ! I currently have a GPz900R and a ZZR1100. My ZZR1100 is a 1999 D7 model. It is pretty much stock. Although I added a nice leather seat, braided brake lines and K&N filters. It doesn't need to be any better. and tours effortlessly with style and efficiency. 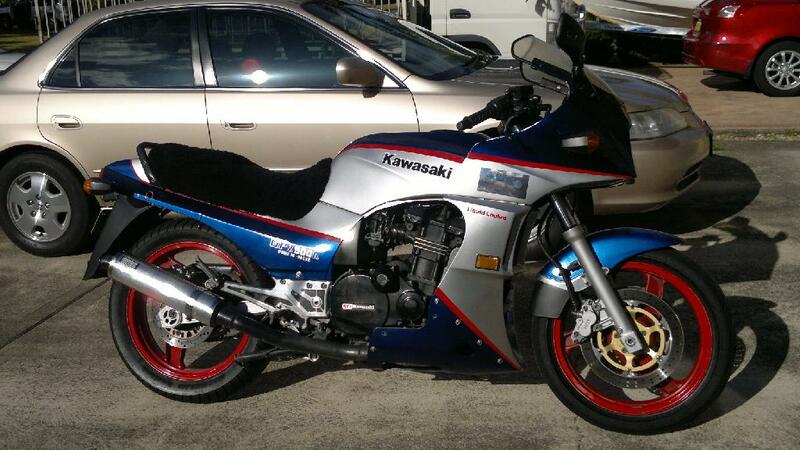 My GPz900R is a 1990 A7 model. It has done just over 100,000km's. It has been used on track days. It has the wrong paint. And it has been patched up from some drops. The frame and wheelbase measured straight. 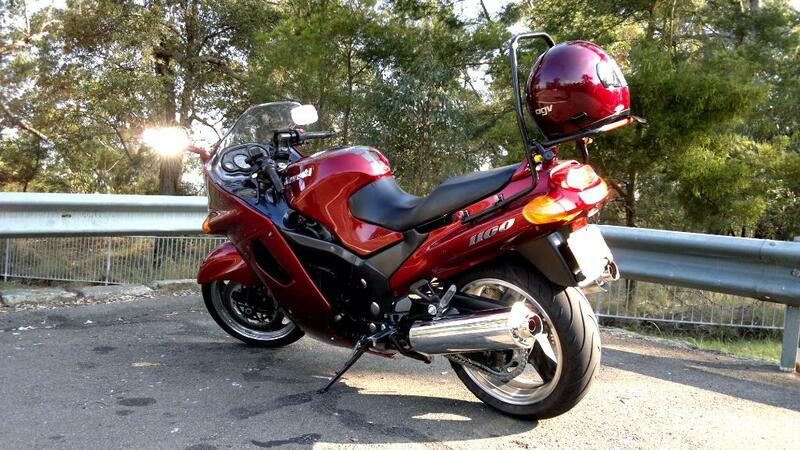 It has a genuine GPz900R spec 4-2-1 Aluminium Magnum Exhaust system in good condition. It has new MetalGear brake rotors and pads. And the A7 model has all the good bits. floating front discs and a 250mm rear disc brakes. And although this model is de-tuned a bit, we will endeavour to address that. A nice rebuild/restore project awaits. I have no rush, and will do each step slowly as time and cash permits. My ZZR1100 D7 - 1999. My GPz900R A7 - 1990. I had the same problem finding info on this swap, I did it but went a slightly different rout. I used an 03 mod zzr600 rear wheel changed all the bearings over from the gpz wheel and carrier to the zzr wheel and manufactured my own rear brake calliper bracket from scratch and welding it to the wheel spacer. If you'd like any images of my set up let me know. Of course I would be very interested in seeing your work. Thanks for reading my conversion process.